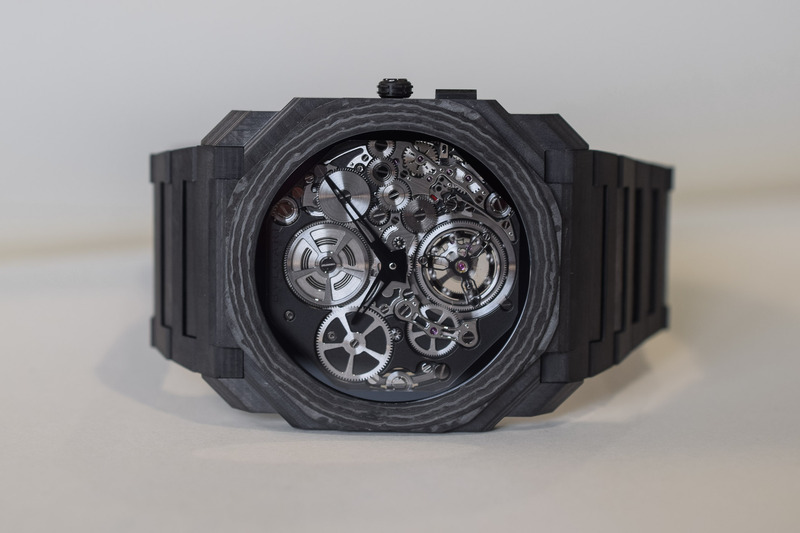 The Octo Finissimo Skeleton and Octo Finissimo Automatic in stealth mode, with matte black ceramic cases. Debuted in 2014, the Bvlgari Octo Finissimo collection has emerged as one of the most striking watch designs of the past years. 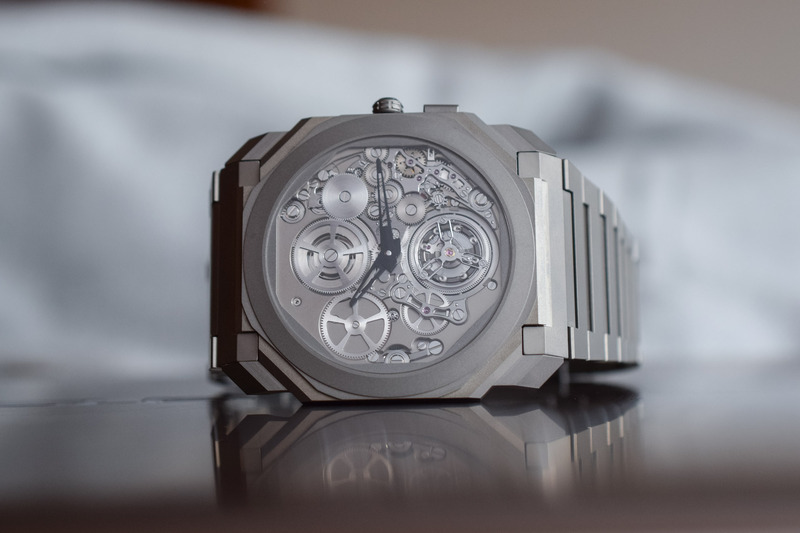 It allowed Bvlgari to break several thinness records: thinnest tourbillon movement, thinnest automatic watch, thinnest minute repeater and thinnest chronograph in 2019. 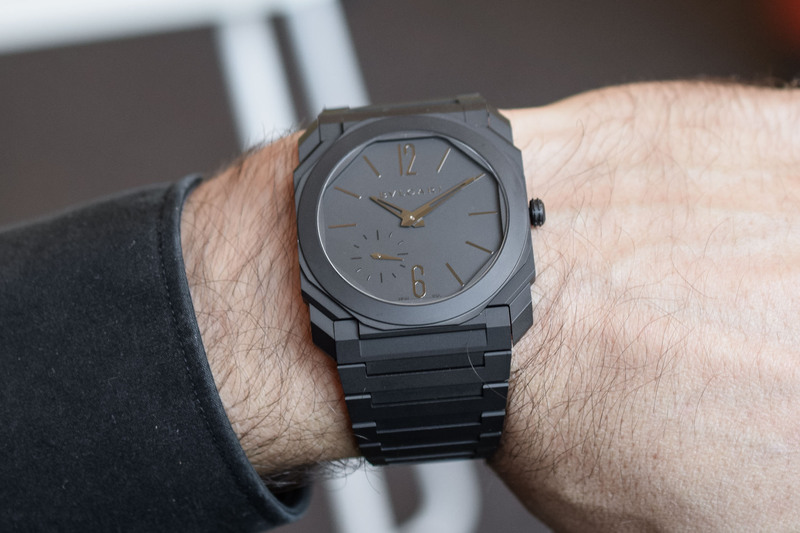 Besides the addition of new complications, Bvlgari is also expanding the collection with new designs and materials (remember the steel and gold Finissimo Automatic models) and for Baselworld 2019, Bvlgari unveils black ceramic versions of the Octo Finissimo Automatic and Skeleton. The very raison d’être of the Octo Finissimo is not solely to break one record after the other. 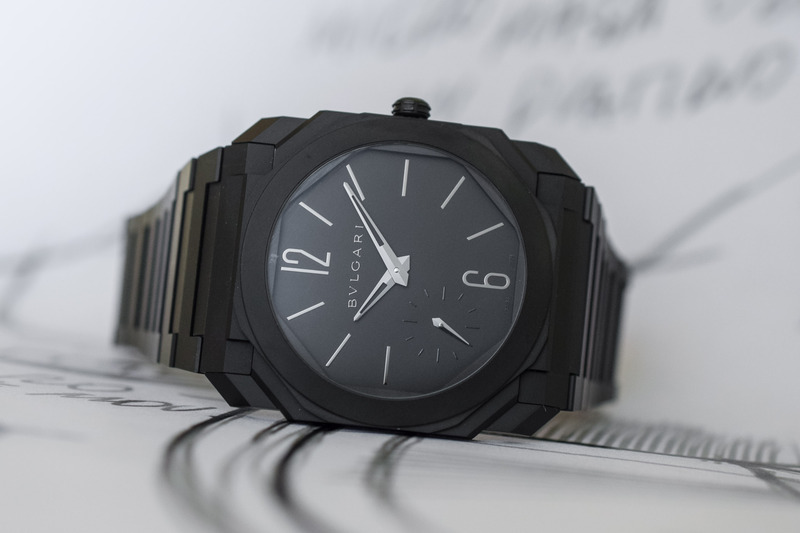 With the Octo FInissimo, Bvlgari has brought modernity and inimitable Italian style to the ultra-thin watch. 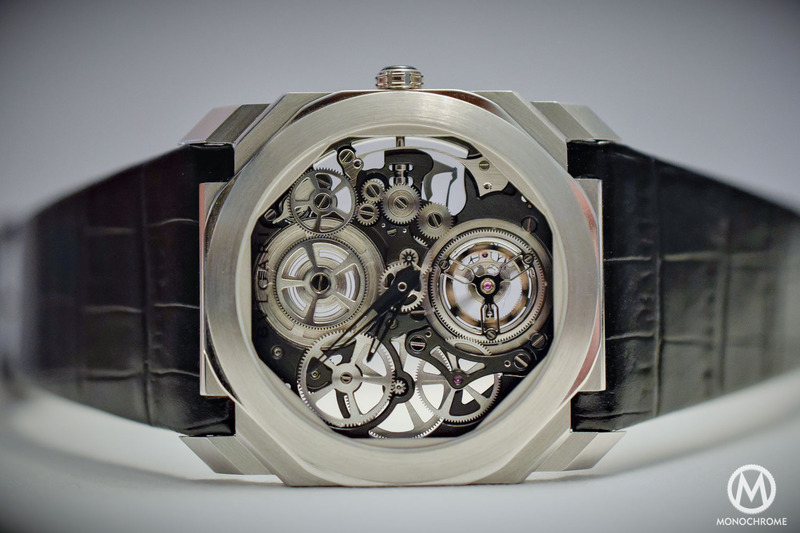 It is simply one of the most uniquely shaped modern watches. 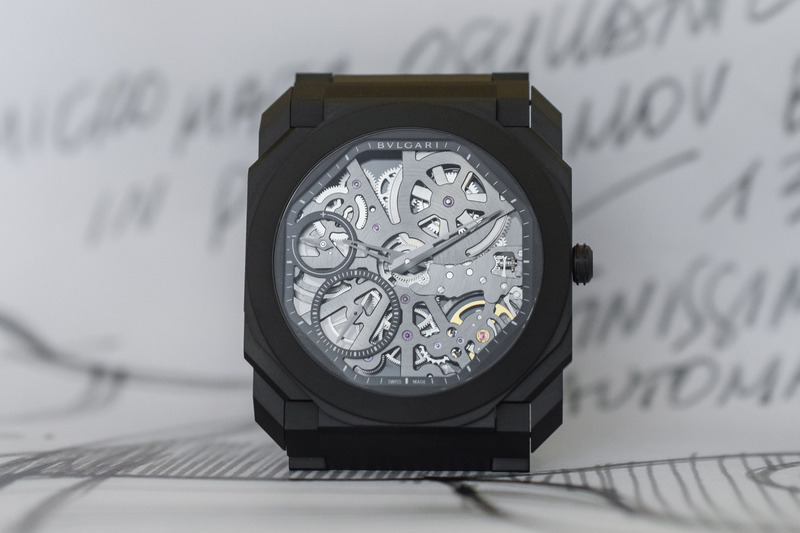 The stepped geometry of its lithe case exudes a charismatic personality. Among other characteristics, its monochromatic look is a signature. 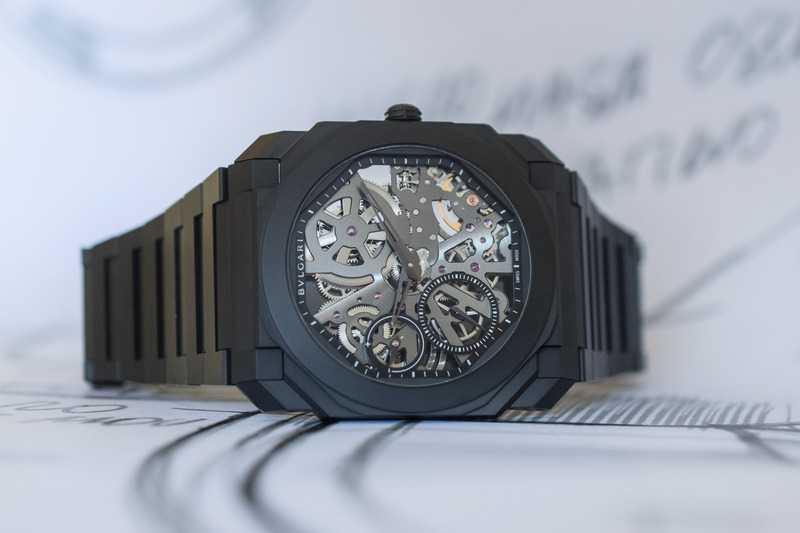 In this respect, we’ve already seen several all-black Finissimi, but the two new ceramic models presented at Baselworld 2019 are arguably some of the most attractive and stealth looking. With almost no contrasting colour on the watch, the matte black ceramic literally absorbs all the light around it. First is the quintessential Bvlgari Octo Finissimo Ceramic Automatic, which is presented in a 40mm diameter case with a 5.5mm thick profile. It is not just the case that is ceramic though. The crown and the dial of the Finissimo Automatic are made from matte ceramic too. So is the bracelet – which is no small challenge as it is tapered. It is seamlessly integrated into the case and incredibly comfortable – as ceramic is especially lightweight and soft to the touch. The folding clasp opens and closes thanks to spring-loaded balls. 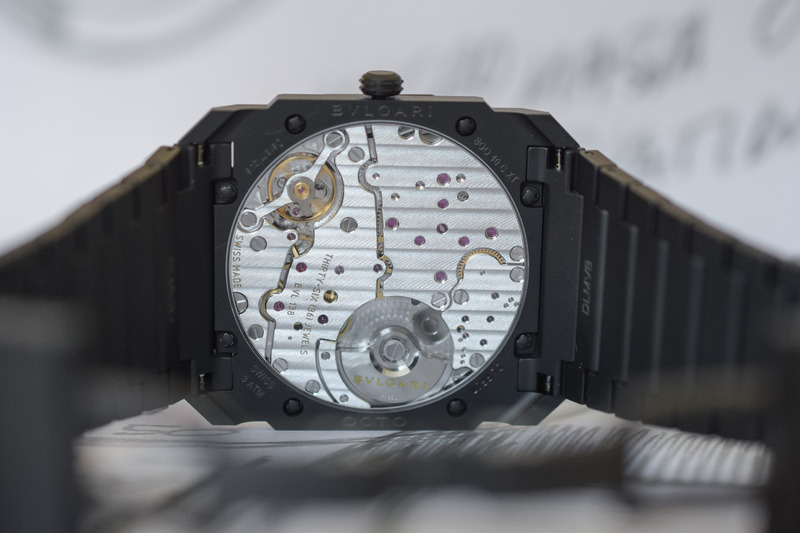 Visible via the exhibition caseback, the record-thin calibre BLV 138 features a platinum micro-rotor and is decorated with thin ribbing, chamfering and perlage. 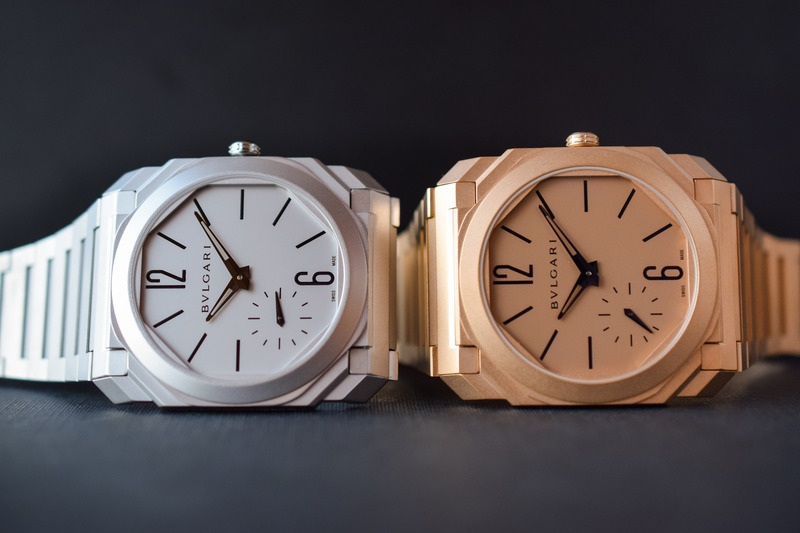 Featuring the same case dimensions, the second model is the Bvlgari Octo Finissimo Ceramic Skeleton. Its architectural openworked movement is fully exposed, creating a modern and technical feel. This hand-wound movement is just 2.25mm thick. It displays the hours, minutes, small seconds and the power reserve (over 65 hours). 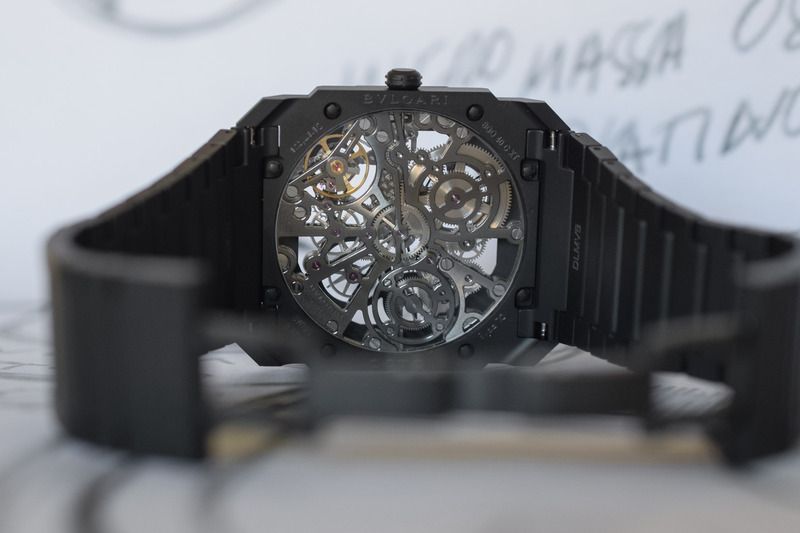 The facetted, skeletonized hands are black PVD-coated to match the watch’s dark colour scheme. 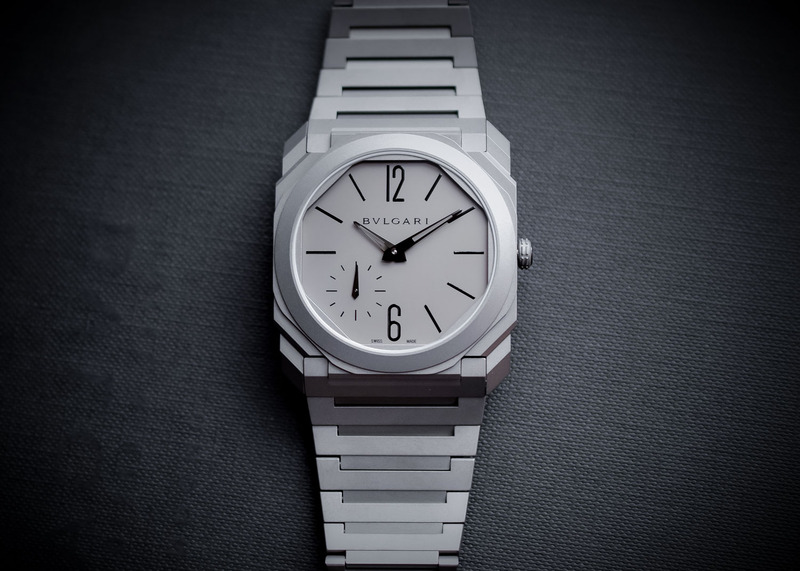 The Bvlgari Octo Finissimo Ceramic Automatic (ref. 103077) will be priced at EUR 15,500. 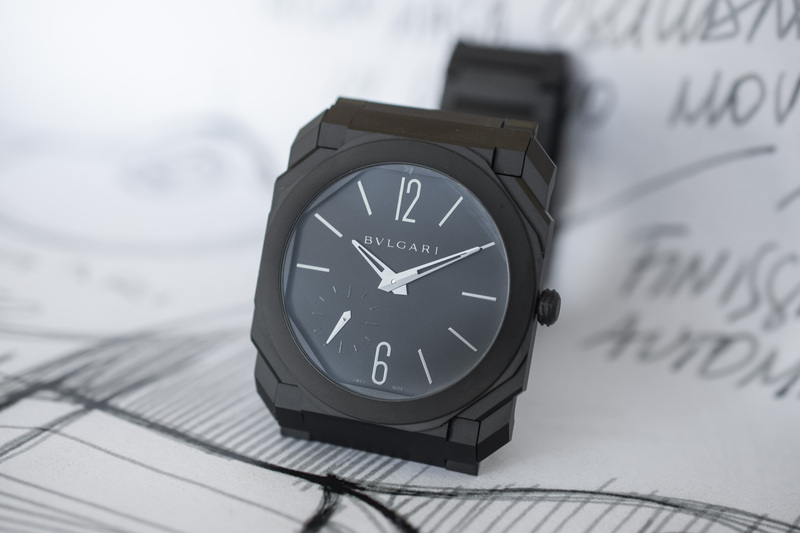 The Bvlgari Octo Finissimo Ceramic Skeleton (ref. 103126) will be priced at EUR 24,500. For more information, please visit www.bulgari.com.